Whether you own property or rent, live or work in the City of Niagara Falls, everyone has a role in rodent prevention. Rodent proofing your home and property is the most important factor to prevent and control these pests. 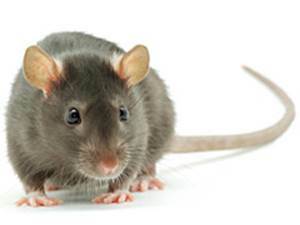 For information and tips on how to help prevent and control rodent infestation please visit the Government of Canada website. Are you experiencing rodents inside your home? Contact Niagara Region Public Health at 905-356-1538 or visit Niagara Region's website for more information on the control of rodent infestations. Pest control on private property is the responsibility of the homeowner. If you require professional services you may wish to contact a licensed pest control company. Visit Canada411.ca for local pest control service providers. On February 13, 2018 City Council approved the Residential Rodent Control Rebate Program. This program began on February 27, 2018. The program will assist residential property owners who are experiencing rodent infestation in their yard with the cost of professional extermination. After February 27, 2018, residential property owners who hire the services of an Ontario licensed pest control exterminator are eligible for one rebate once per year. The maximum eligible rebate is 50% of the total bill up to a maximum of $200 for rodent pest control services to the exterior property only. A Municipal Enforcement Officer must first assess the exterior yard for evidence of infestation. The Officer will provide information including; tips on how to prevent and control rodents, a Residential Rodent Control Rebate Form and a Contractor Information Form. If there is a property standards concern the Officer will leave information on what you need to do to comply. Any property standards or litter issues must be taken care of before you are eligible for the rebate. After you have taken care of any applicable property standards concerns contact the City for follow-up. Please read all the terms, conditions and instructions on the Application that is provided to you. Retain your original bill of service that was provided in the current calendar year (rebates are not retroactive). Complete and sign the Application Form and have your licensed Contractor complete and sign the Contractor Information Form. The property owner must sign both forms. Talk to your Contractor before the bill is prepared to ensure it contains all necessary information. Including the service address, and clearly notes what portion of the service was to the exterior yard only. Pest control services provided to the interior of the home is not eligible. Keep a copy of the bill for your records. The City will not accept applications for pest control products purchased by the property owner at retail outlets for their own application. Submit both Forms with the original bill by mail or in-person. If you wish to keep the original bill please submit the forms in-person at City Hall so staff can verify and make a copy for the application. Upon City approval the rebate cheque will be issued to the property owner only. Allow 30 days for processing. If denied a City program representative will provide the applicant with reasons for the denial. 2.4.1 All buildings shall be kept free of conditions that would permit or cause an infestation of rodents, vermin and insects. Methods used for exterminating rodents, vermin or insects shall be in accordance with the provisions of the Environmental Protect Act, the Pesticides Act and any other applicable regulations, acts or municipal by-laws. 2.4.2 Windows used or required for ventilation and every opening in an exterior wall, floor, roof or foundation which could permit the entry of rodents, vermin and insects, shall be screened with wire mesh or such other material as will effectively exclude the same. 2.4.3 For the purpose of this subsection an infestation includes the presence of one rat or mouse, but excludes a domesticated mouse or rat and in the case of insects means the presence of a breeding population of insects, and in the case of wasps, hornets or bees includes the presence of any occupied nest on the interior or attached to the exterior of a dwelling unit. CONTACT: If you feel a neighbour's home is in disrepair or has garbage and debris on the property which could attract rats please speak to Municipal Enforcement Services at 905-356-7521 ext. 4253 or 4265. The Residential Tenancies Act, 2006 protects tenants and helps landlords. The Landlord and Tenant Board helps to resolve landlord and tenant disputes including landlord and tenant rights and responsibilities under the Act. A landlord is responsible to make sure that the property is kept in a good state of repair, is fit to live in and meets all the health and safety standards that apply. However, both the landlord and tenant have responsibilities when it comes to fixing the problem. The landlord may have to arrange to treat the unit for pests and the tenant may have to do some work in the unit to prepare for these treatments. Contact the Niagara Falls Property Standards Division regarding applicable By-laws at 905-356-7521 ext. 4253 or 4265. File an application about maintenance (form T6) with the Landlord and Tenant Board (LTB). The LTB will then schedule a hearing where both the landlord and tenant can provide evidence about the problem. If an order to fix the problem has been received and the landlord is not following the order the tenant can contact the Rental Housing Enforcement Unit. If the landlord is trying to fix the problem and the tenant is refusing to cooperate the landlord can provide the tenant with a 7 day notice to cooperate before ending the tenacy. If the tenant still does not cooperate with efforts to treat the pest problem the landlord can file an application with the LTB to evict the tenant. Please visit the Landlord Tenant Board website for more information on mice and rats which can be found in their Frequently Asked Questions.